This update was started as I sat on a rock overlooking the sea in Saltholmen, alternately scribbling in my writing pad and staring around at the perfectly serene surroundings. I didn’t lug my laptop to the coast and up that hill, and so I’m now typing it up at home, while a rainy mist persists outside. Göteborg is a city that is tied to the sea. Since it’s founding it has lived by the ships that still meander up the Göte älv to disgorge their contents on the docks that, unlike other harbour cities I’ve seen haven’t yet been reclaimed as fashionable apartments. The Gulf Stream which passes nearby keeps it relatively warm, so far warm enough for a sheltered Australian who can only imagine snowy winters as Yule cards. (As I retype these notes, Fantasia on a Theme by Thomas Tallis, the most oceanic music I know, has started playing, and as well as seeing the still surface of the bays at Saltholmen, I can see the dark beneath the waves.) I’ve always been drawn to bodies of water, whether rivers, lakes or the ocean, fancifully I imagine it could be because about 80% of me is water, but to be honest I don’t know for sure. 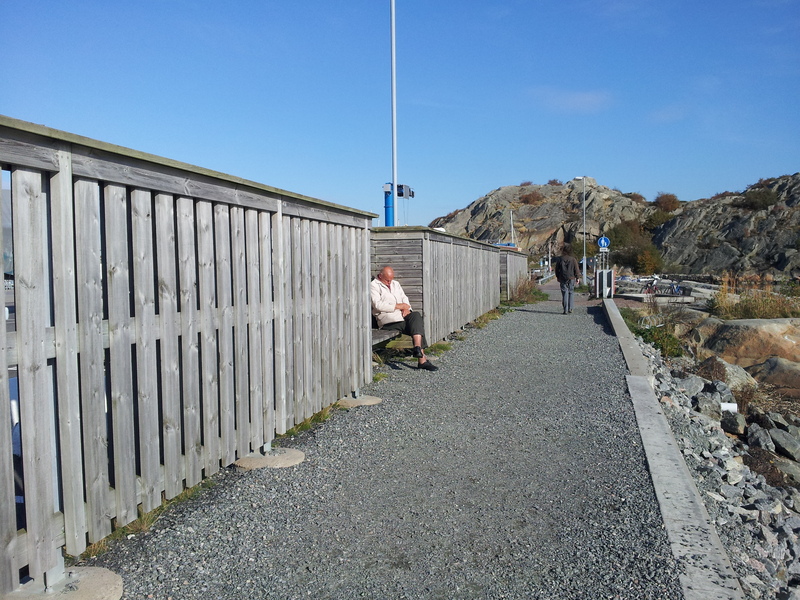 It is a surprise, then, that it’s taken me 6 weeks to visit the coast, and now that I am perched on a rock overlooking Saltholmen harbour, the sun on my back and the breeze in my hair, I am glad. There couldn’t be a better day to be here. My plan initially had been to take a tram to the end of it’s route, in order to see more than the central city that I’ve been wandering around so far. 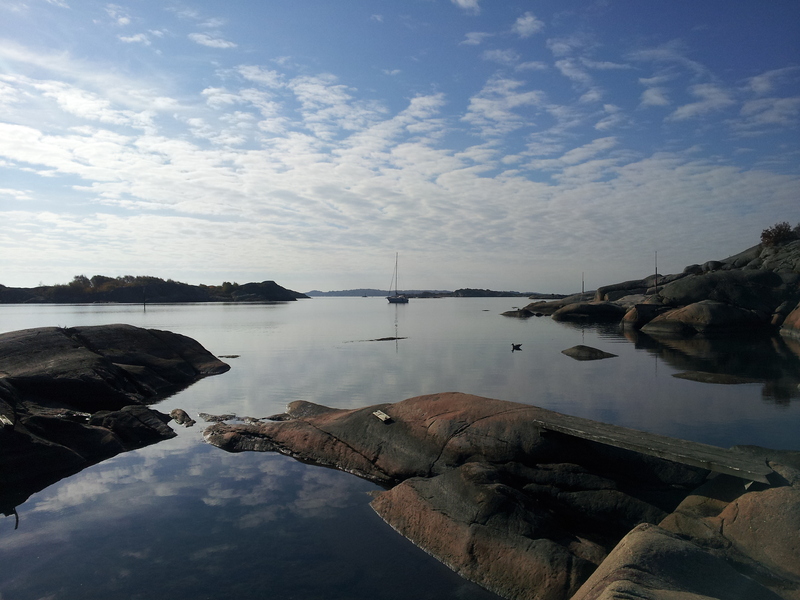 I chose the 11, which ends at Saltholmen, an island relatively recently connected to the mainland. According to Wikipedia, this town is very popular in summer, when locals flock to swim in the protected bays. This would explain why, in October, the kiosks and icecream stalls are closed. Nevertheless, I wandered along the jetty, admiring the scrubby rocks, and found a cove. A rickety bridge spanned between worn rocks and I climbed over, seeing a rock with a 2 metre sharp drop into a warm pool below, whether drifted jellyfish, seaweed and small fish. There I sat, dangling my legs. I wrote a bit, inspired by the quiet and beauty, then sat and watched. 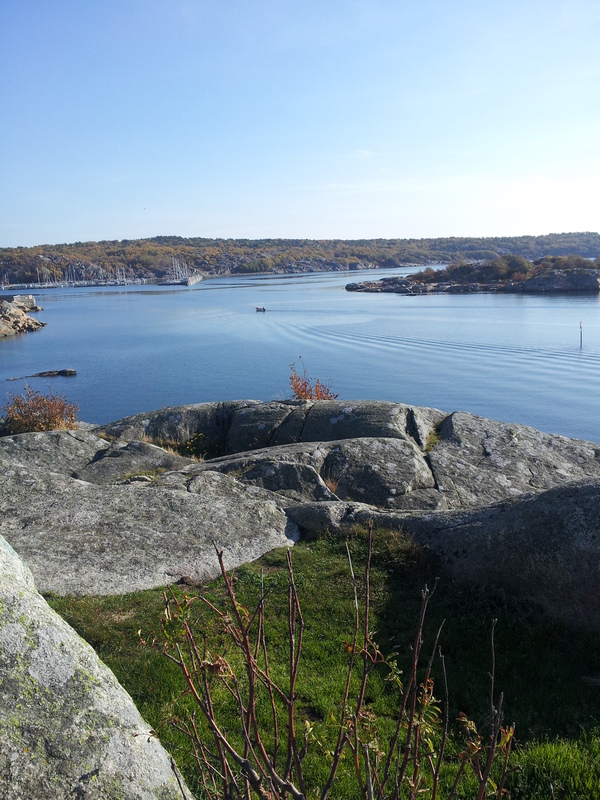 Soon I climbed further and found a perch on the highest rock, with a view over the sheltered harbour and bays. There are others basking up here, a few couples wrapped in themselves and others reading and soaking in the light and sea. Just being. It is a fine place to be. I wish this being, right now, could be forever. Obviously it couldn’t be forever, but I sat there for long enough to feel steeped in the sea air, then climbed down the rock and made my way to the tram. 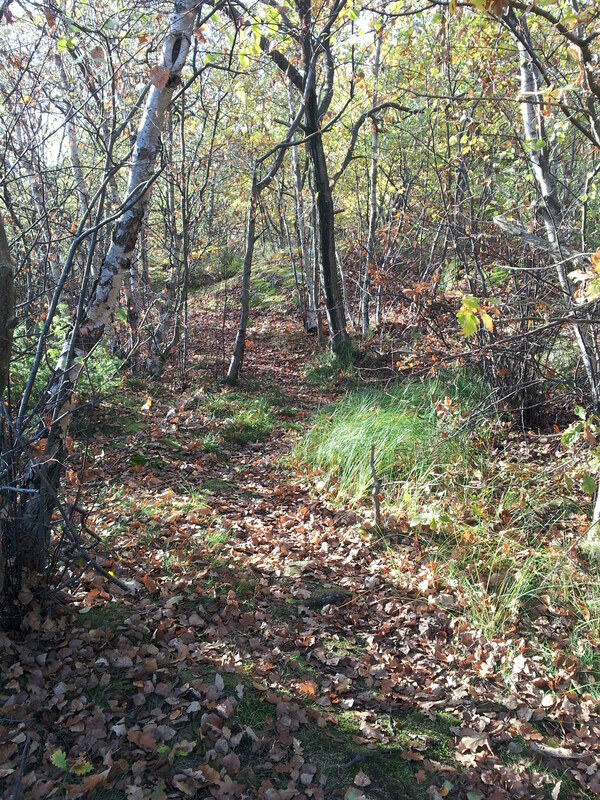 On my way I found a patch of forest, with groves of birches, young oaks and startled birds. It seemed almost absurd to find two of the places I enjoy the most, the sea and the forest, in the same place. Then I went home. This was last week, and I can picture the scene where I sat as it is now. Windy, overcast, damp and quiet. I look forward to being there again. So what do I know about Denmark? It’s the bit of land that looks as though it’s about to be gobbled by Sweden and Norway, it had its share of Vikings in the day, Hamlet, Princess Mary and a friend I knew many years ago called Dane. Armed with this extensive knowledge, my partner and I decided to take a trip to Copenhagen last weekend, for the simple reason that it was the weekend and it’s possible to get there by train in just under 4 hours. If you’ve never lived in Perth, or Australia, this fact may not seem exceptional to you. Take my word for it though, it’s pretty exciting. Having been there, what is the strongest impression I have of the city? I would have to say it’s cityness. By this I mean not only the size of Copenhagen, but the permanence, heaviness and reality, the feeling that I got in Stockholm, Sydney, Rome and Paris. An entity unto itself. In comparison Göteborg seems cosy and small. Then there are the bikes. 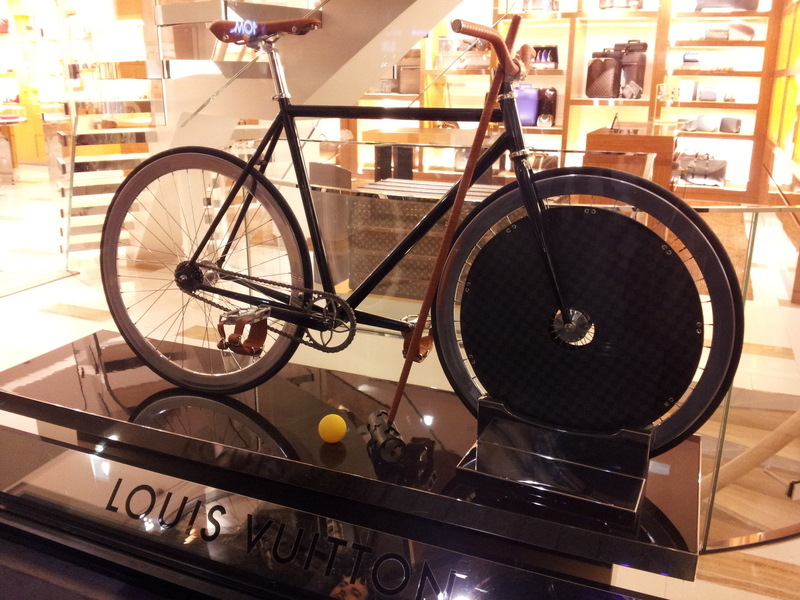 Oh the bikes! They have double storey bike racks, and still bikes litter the streets. 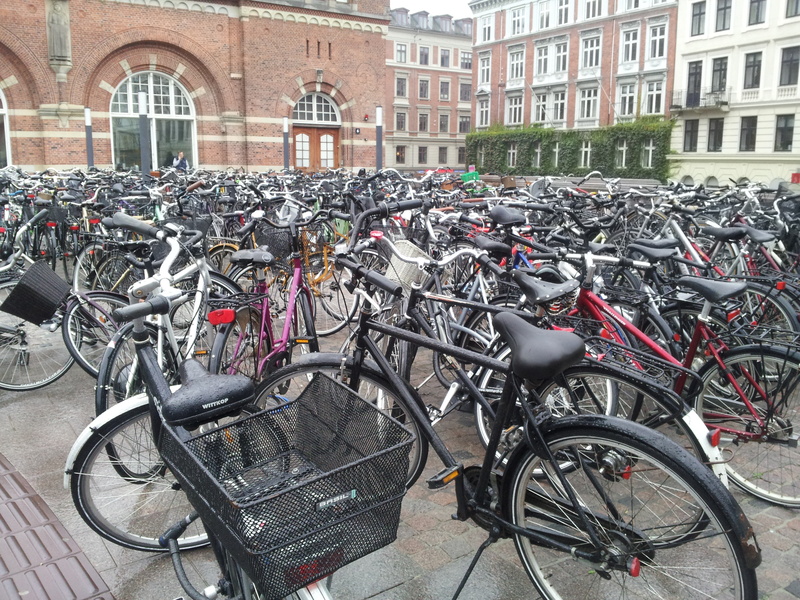 I had thought Göteborg was bike mad, but I knew nothing. If I’d arrived from another galaxy and was looking for the dominant life form in Copehagen, Ford Prefect style, I’d have been shaking handlebars and probably getting knocked over by a speeding Dane. Jokes aside, it is good to see how people are embracing more sustainable and healthy forms of transport over here in Scandinavia. Copenhagen is apparently the Green City for 2014, and I bet if they could work out a way to make bike-powered heating they’d be set for centuries to come. 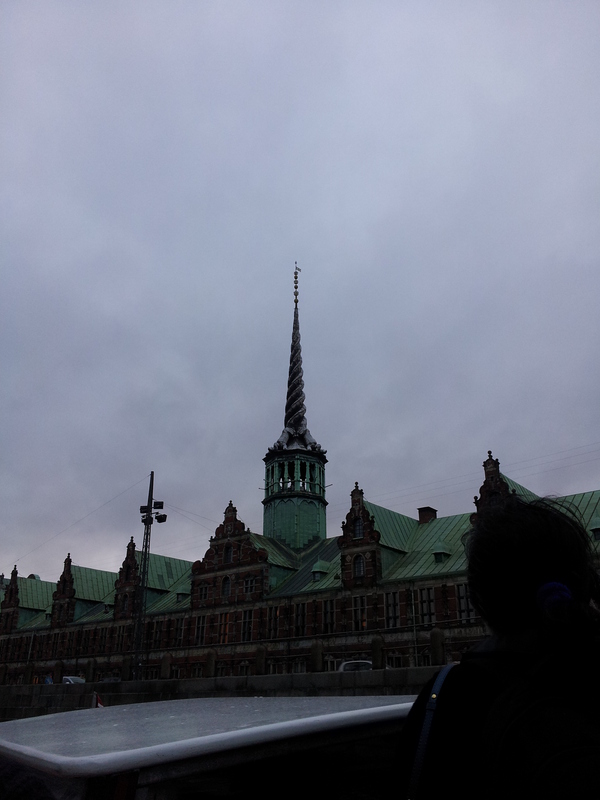 Aside from that, Copenhagen was a fascinating place to explore, rich in history and full of diversity. There were castles, some containing the current royal family, others open for tourists to wander around and see objects from what seemed an unbroken history of kings and queens. One that we visited was Rosenborg Castle, which had been built as a summer house by Christian IV, and in time became somewhere to store the things no one needed so much any more. It was full of personal items, and paintings and even an old chair with a built in whoopee cushion which sprays water when you sit down, locks you in and then dribbles water onto the floor when you stand up, as if the victim had just wet themselves, no doubt with mirth at the hilarity they were undergoing. Oh the laughs they must have had. 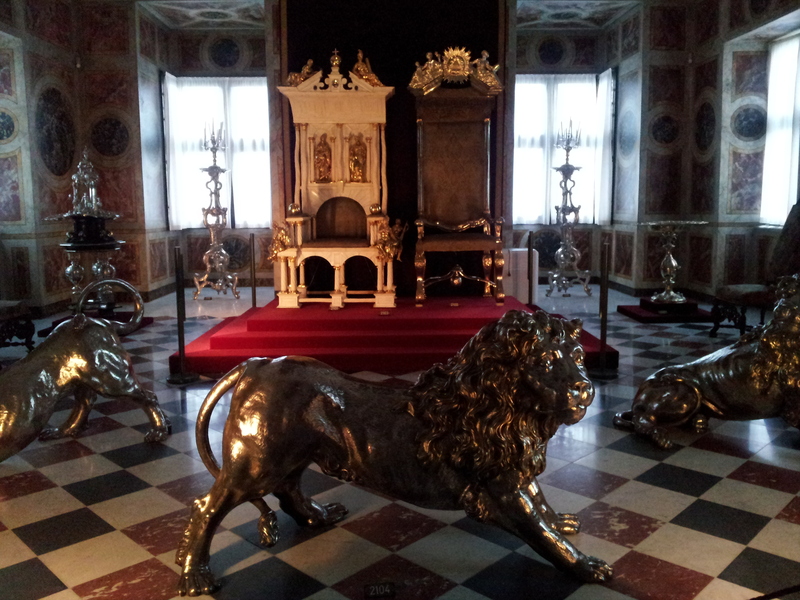 A few floors up from the chair was the throne room, decorated with tapestries and leading to the coronation thrones of the absolutist Kings and Queens of Denmark. I take this to mean that in the modern era of reduced absolutism these aren’t required any longer, though they were still guarded by three almost life sized silver lions, whose duty it is to guard the body of the Danish King when he dies. The thrones were made of narwhal tusk, for the King, and silver for the Queen, and as I saw them and approached I had to resist the urge to curtsey. Below these, in the basement, we found the treasury. There were casks and bottles of wine from the castle, elaborate saddles that a King had ridden to his coronation on and the crown jewels. 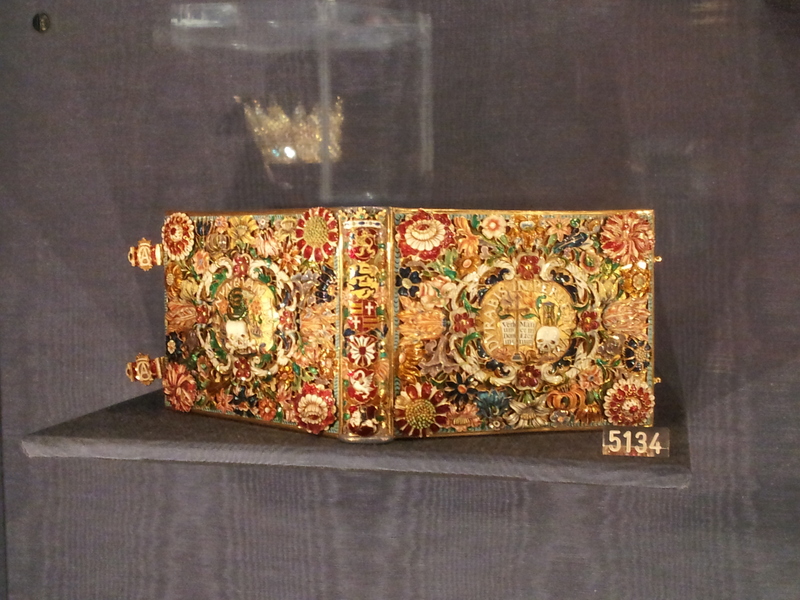 There were 3 crowns, 2 from the recent past in the typical crown design with the red velvet cap, and one a bit older, with incredibly intricate designs of angels and flowers made out in enamel, pearls, jewels, gold and silver. There was also an orb and sceptre, and racks of beautiful and precious items. The plan had been to also visit the Danish Museum, which is currently running an exhibition about Vikings, though for various reasons we went to the Copenhagen Museum instead. In addition to being free is also displayed items found in canals and moats with details of their origins and purpose, which turned out to be fascinating. In addition to possibly having more time there than we had (and not staying at the same hotel…), I would recommend going on a canal boat tour. Not only is there the novelty of floating along the canals, but a lot of the city can be seen from the maze of canals that run through it. Unfortunately the one we went on didn’t include Christiania, which is on my list of places for a return journey, but we got to see a multitude of grand palaces, castle and city buildings, a 100 year old mermaid on a rock and the highest rated restaurant in the world. So what other memories did I bring from this city? 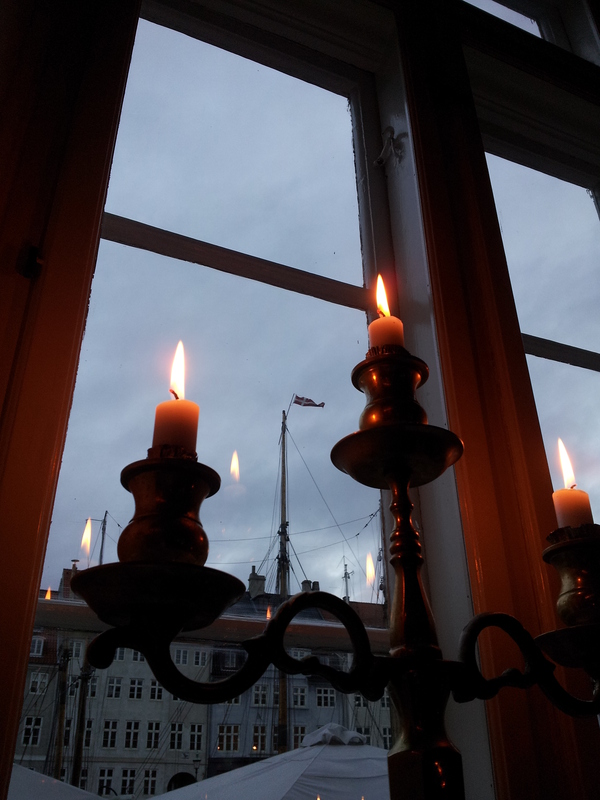 A very delicious dinner in Nyhavn, wandering the cold streets to delay the return to the hotel and diversions at a bar to soften the effects of the same, rain and a stately, very well organised city, that contains a lot of bikes. I hope to go again, and perhaps see the streets from the perspective that the locals prefer; on two wheels and at speed. Yesterday I received an omen. It landed on my hand with a splat, as I sat plotting a story outside a cafe in Victoriapassagen. I’m assuming it was an omen, because otherwise a bird crapped on my hand for no reason and that’s nowhere near as interesting, though I’m not sure what it presaged. Hopefully that I was on the right track with my story. Today I went to a cafe and didn’t get an omen from the sky as there was space inside this time. 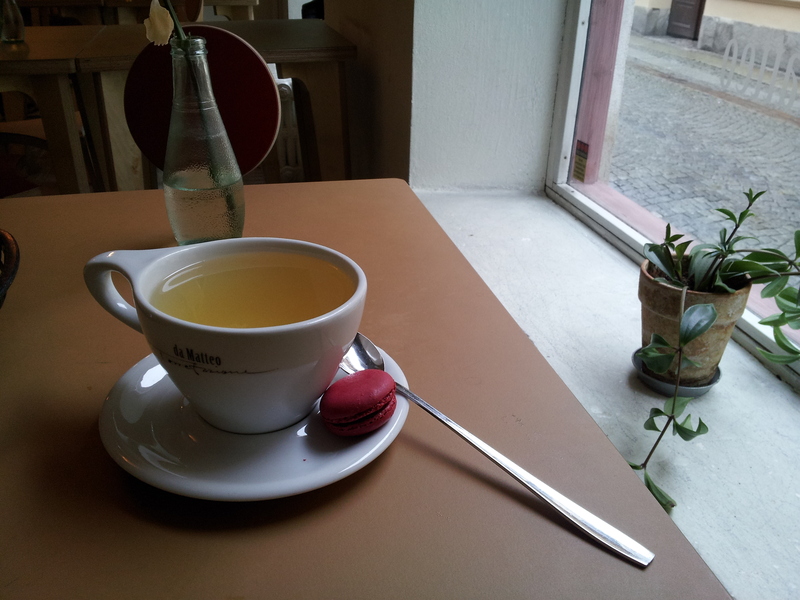 My hot lemon, ginger and honey drink, macaroon and delicious foccacia made up for the lack of signs though, as did progress with my story. It’s one that I’ve been working on for a few years now, and I’d left it on the back-burner when it got stuck about a year ago. Recently the characters and the heart of the story came back and are now creeping around my head, plotting and directing the action. The first stage was the wide-eyed wow stage, when the world around me was new and everywhere I looked there was something intriguing to be investigated and most likely photographed. That still happens to me now, when I go for walks into town or cycle to a place I haven’t seen before, but my neck has been craning less and I sometimes have moments when I feel as though I’m touching the borders of being part of this place. This second stage is when the momentum caught up with me and I had to pull myself in and really think about where I want to be and what I can do to get there. It came to a head last Friday, when all my get up and go, got up and went and I just felt tired. What the next stage is I don’t know. With November just around the corner, all encroaching darkness and cold, I’m hoping the Swedish language classes will start soon, so I have something to throw myself into. Just in case, I bought two candles yesterday, to ward off the dreariness and provide literal and metaphorical warmth. Soon I will go in search of advent candle holders, to light up our kitchen window. What all this writing and navel gazing means, oh readers, is that my adventures haven’t been of the adventurous kind lately. Possibly the most exciting events occurred over the weekend, starting with Kanelbullens Dag on Friday. 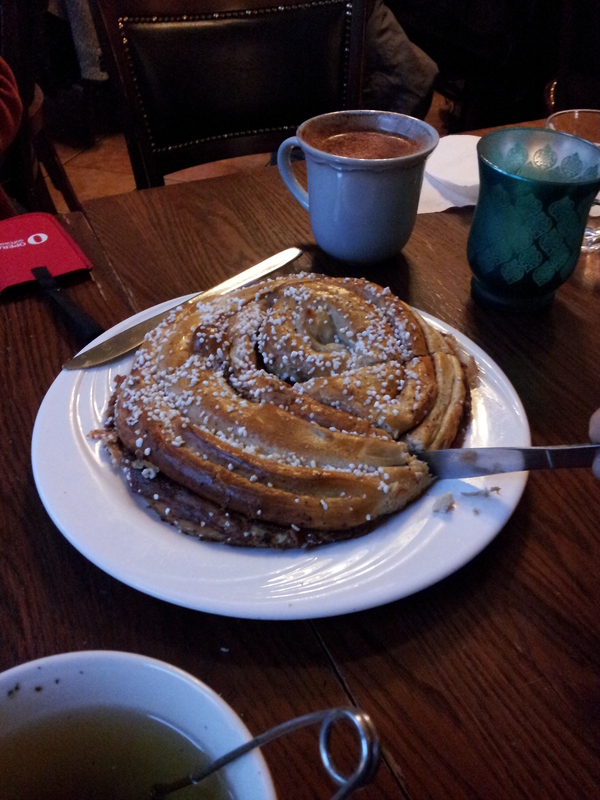 This is a tradition in Sweden, in which it is the duty of all to eat huge, sugar coated cinnamon rolls, and who am I to deny the customs of my adopted country? They were delicious, and enjoyed in the company of other expats who then headed to a French restaurant/bar for less traditional alcoholic beverages, and discussions of B-grade shark-related films. On Saturday we went to another of the free Foyer Concerts at the Opera House, the theme of which was Nordic cello. Again the music was beautiful, so much so that at times I risked sinking into a doze, warm and content as I was. 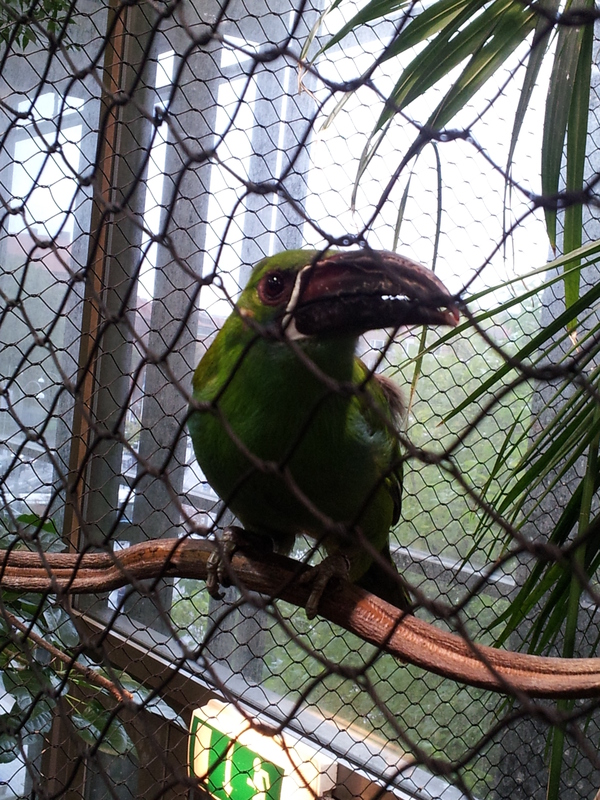 More wanderings with expats ensued, and then other wanderings, and a visit to Universeum, the Göteborg version of Scitech, Aqua and the zoo all bundled in one place. It was great fun to stare at the exhibits, exploring the river systems of Sweden, admiring the feathery dinosaurs and stepping into the tropical rainforest section, which was a very tropical 28C. This last was my favourite, which made up half the building. Imagine a vertical cross section of a 6 storey building, and fill the left side with winding paths through recreated rainforests inhabited by birds, monkeys, lizards and piranhas. The piranhas were in tanks, fortunately. 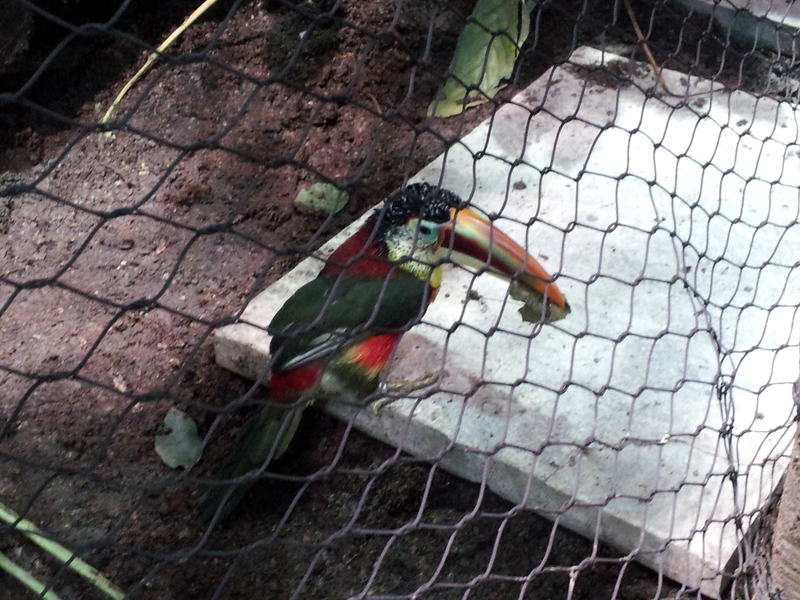 The toucans, with their giant beaks and amazingly colourful feathers and habit of staring right back at us were wonderful. 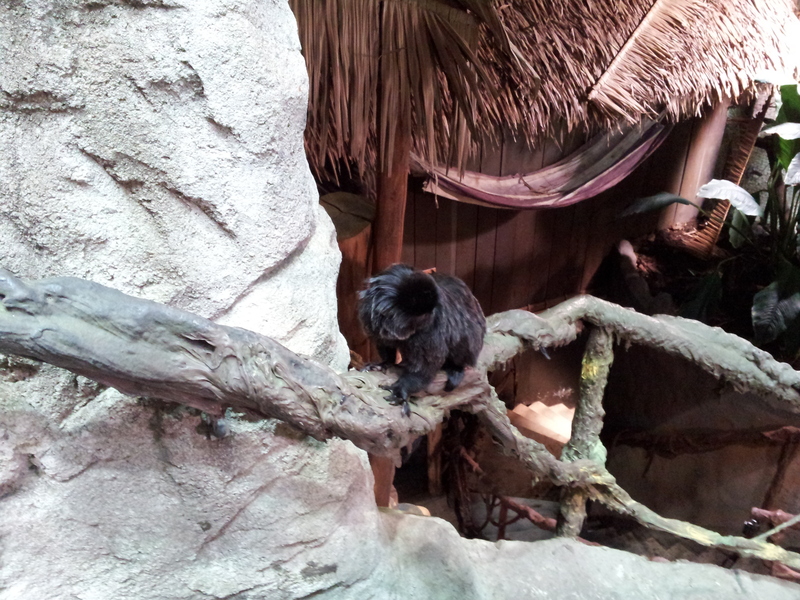 There was also a tiny black monkey who skittered around, jumping out from nowhere and disappearing as quickly. The day ended with drinking a bottle of wine and watching the final episode of Vikings and then Gladiator. I had decided that my habit of sobbing messily at the end would be a thing of the past. Oh yes. Of course, by the time Russell Crowe was doing that odd turtle neck thing he does in the death scene, a little tear was dribbling down my cheek and my throat felt quite tight. Is it ‘a good man’ dying? Knowing the Empire was passing it’s prosperous period? That neck thing? I still don’t know, only that it gets me every damn time. The next morning I showed some evidence of having drunk a fair amount of wine, and so took it easy till the afternoon, when I cycled to the nearby lake. It involved a bit more uphill than I’d planned, but it was more than worth it. Sitting on the grass watching as the sunlight crept over the trees along the banks of the lake and the little island, lighting up the still water and clearing skies brought more peace than I’ve felt in a while. If I concentrate I can feel it now, and picture the lake. When my partner returned from his own, longer, cycling trip, we went for one last night at Liseberg. 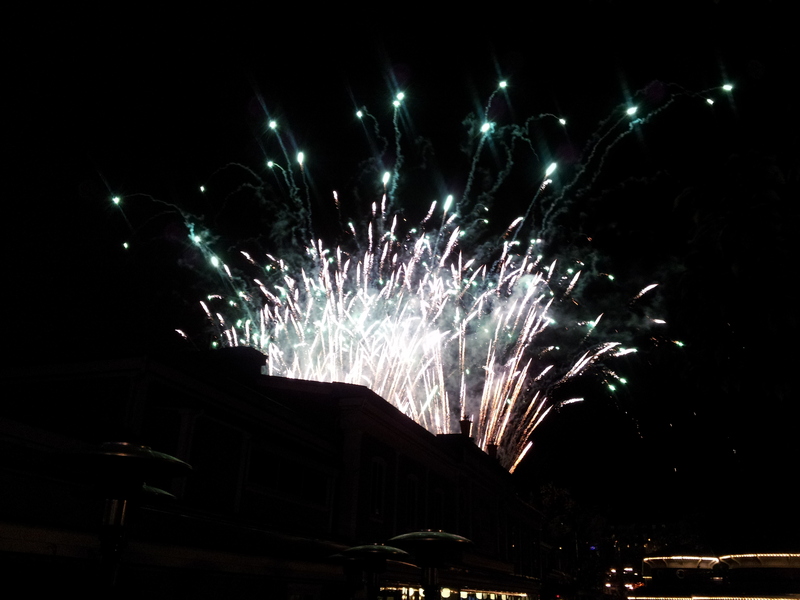 It was the last night until it opens for the Christmas season, and was free so we walked around and had dinner at the Austrian restaurant, then walked some more until the sky was lit up by fireworks. 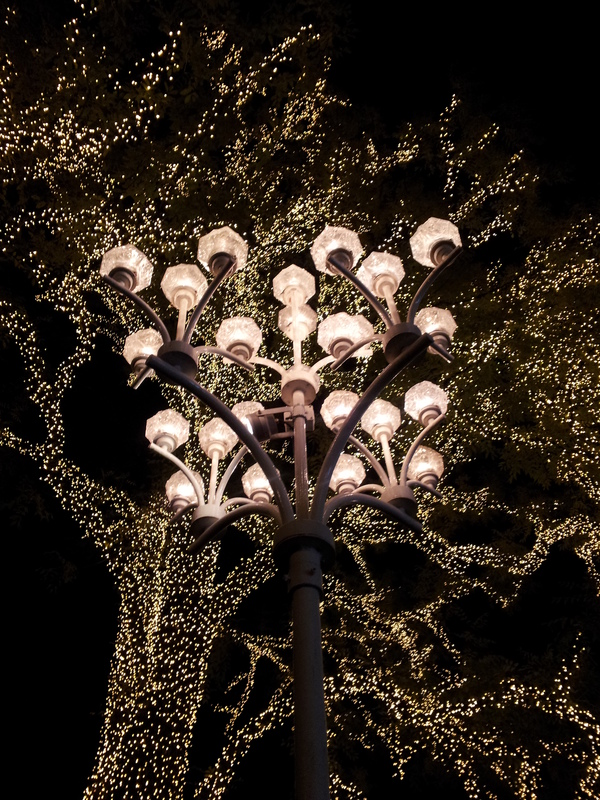 It was a lovely ending to the weekend, and as we made out way through the crowds and past the beautifully lit tree near the main gate, I felt as though this week would be easier. In the short time since the weekend I’ve been concentrating on my writing and study, and creating a comfortable space for my partner and myself. There’s still a long way to go, and many more stages to be discovered and breached, but I know it’s possible and that I’m not alone on the road. Today is the first of October, and it certainly seems as though Autumn is creeping up on us. 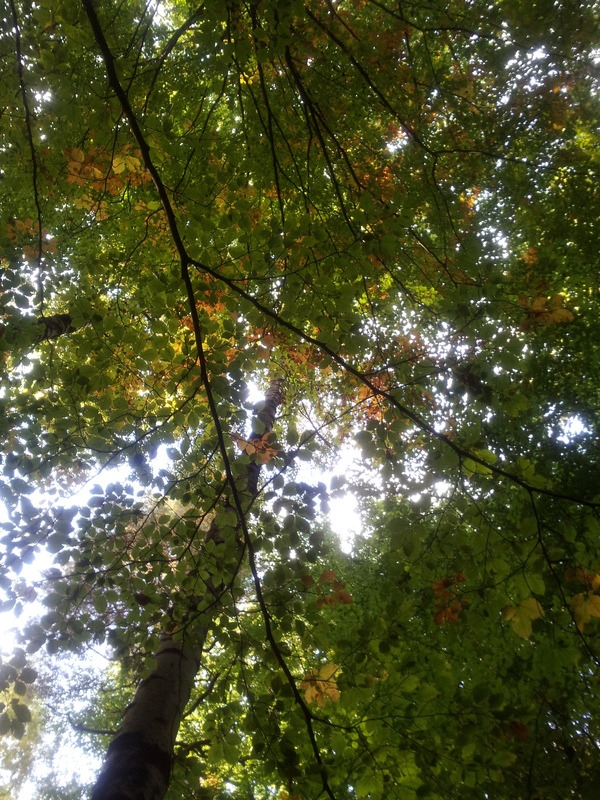 The leaves have started to change colours and fall, and each day is crisper with chill. The sunny weather still makes winter seem a long way off, though knowing that we’ve probably got a month left at most makes each day seem brighter and more necessary to be outside. 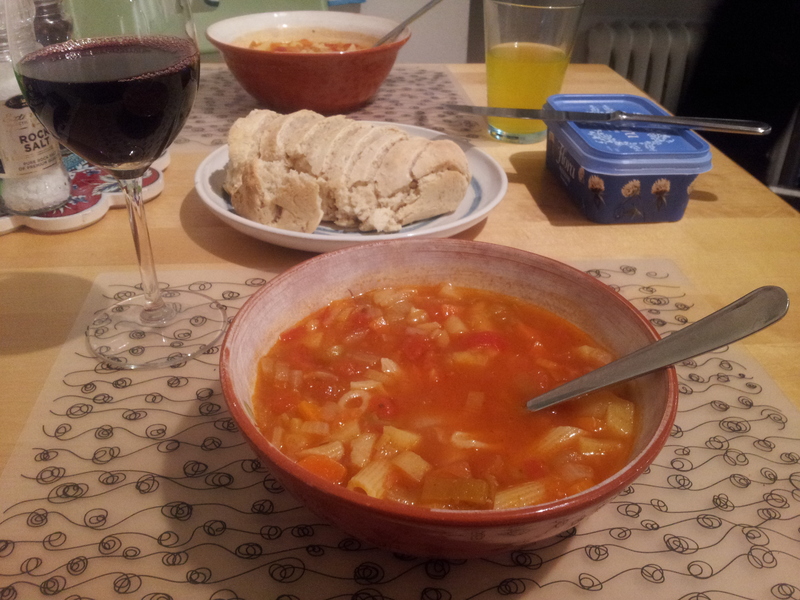 Last week was another home week, in which I sorted through things that needed sorting, did cleaning and in the evenings made delicious dinners with my partner. Then on Friday my personnummer finally arrived and I shot out the door to get my own new Göteborg library card. Plus a bank account, but let’s be frank here about priorities. The ride to the library, though involving a bit of getting lost, was lovely and sunny and after a rummage among the shelves I happily stuffed my bike basket with an assortment of books for my ride home. This capped off a very pleasant day, in which I also took part in an English Conversation/fika with some lovely ladies I’d met the day before. Perhaps I should introduce them? The ladies are members of the IWC (International Women’s Club), which has been running for 8 years here in Göteborg and consists of enthusiastic and welcoming women who love fika and chatting, and have created a busy community for those women who have arrived from overseas, or who want to meet those who have. At the first meeting on Thursday I felt like something of a novelty, as it would seem that there hasn’t been an Australian member for some time, and then got pulled into multiple conversations and found out that the worries I’ve had, and the excitements and strange experiences have been shared by others, and these others are there to help. I also met a lovely, friendly American lady who gave me a tonne of advice and has since sent me links to groups and useful information, in addition to putting me into contact with another writerly person who I hope to catch up with soon. From talking with these ladies, and the expats I’ve met via Facebook, there seem to be stages that immigrants go through, that are replicated with small differences from person to person. Firstly a person arrives, jetlagged from their flight and desperate for somewhere to dump their stuff and settle. Once refreshed they turn and face their surroundings and exclaim at the glistening canals, ordered streets, fairytale forests and genteel people. This then eventually fades into the day by day routine, which is more structured if there’s work or study, though if at first there’s neither there’s a risk of isolation and inertia. Then, if you go looking you find something or make something to keep you busy and find people who nod and tell you they’ve been there, through those stages and that there are more to come and here’s what I wish I knew then, for you now. In a few months perhaps I’ll be one of those ladies, smiling and nodding, advising on glove insulators and expat women’s groups to someone else who’s just arrived, and making them feel a little less lost. Then on Saturday came an event that I’ve been looking forward to since I found out I was moving to Australia, and which incidentally gave the end of last week a womanly theme. 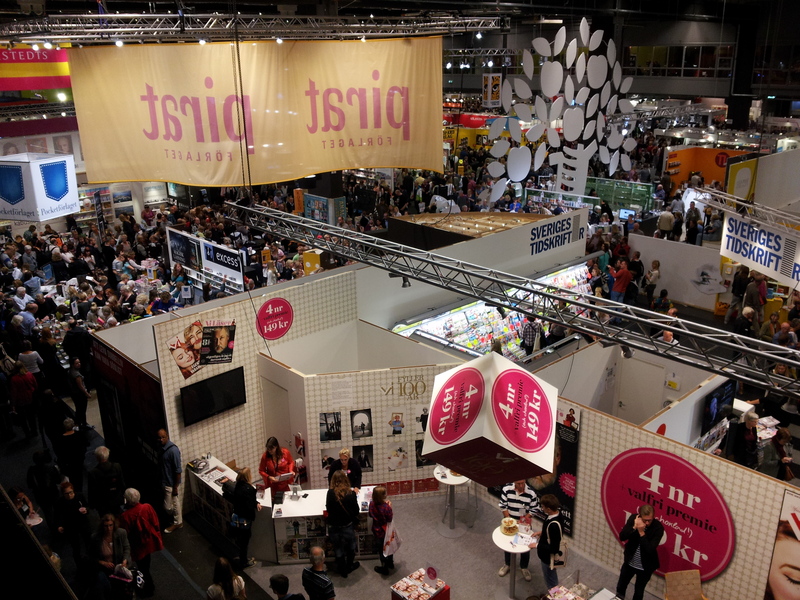 It was the Göteborg Bok Mässan, or Book Fair, in which a very large hall close to our apartment was filled with book sellers, authors doing talks, markets, craft stalls, chefs offering tasting and what seemed like everyone in Sweden. 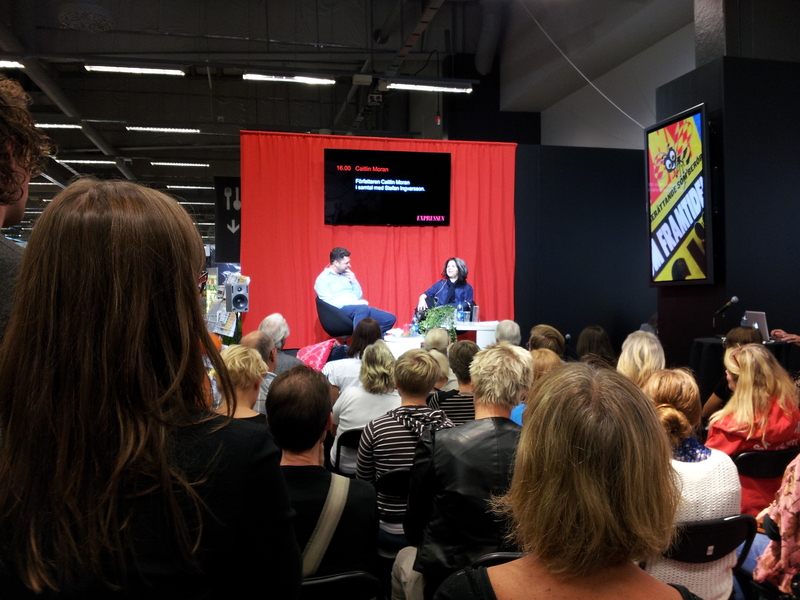 It was also in Swedish, which was probably why I didn’t end up buying any books (shock horror! ), and we spent some time wandering around staring wide eyed at the crowds and stalls and holding hands just in case one of us got swept away by a sudden rip in the crowd. So, what, you ask, made this book fair woman themed? You said it was a womanly weekend, and it just sounds literary so far. Well, one of the guests at the fair was an author whose 2011 book I read with great enjoyment and internal fist-pumping and who I’ve followed online and on social media ever since. One of the speakers was Caitlin Moran. As in this Caitlin Moran. And here’s a photo of me with Caitlin Moran. The excitement! Though I sadly missed her main speech due to circumstances I don’t want to rant about, I did get a book signed and the above photo plus watched a shorter speech later. It seems that she is exactly the same person in the flesh as she is on paper; that is funny, passionate, honest and kind. She was completely approachable and friendly and yes this is turning into a bit of a fannish paean. Anyway, she’s awesome and if you mention her name to me any time soon I will likely squee and clap my hands excitedly. The rest of the weekend was a bit more relaxed, as I continued to fight with my cold and we met up with some lovely expats we’d met previously, for lunch at an Iranian restaurant. The company and food were excellent, and after a bit of wandering around the city we headed home and finished off the weekend with some more relaxation.